We have the best no-nonsense warranty in the pool industry today with No gimmicks – No exclusions– No opt out clauses – No limited protection– No illusionary justification. 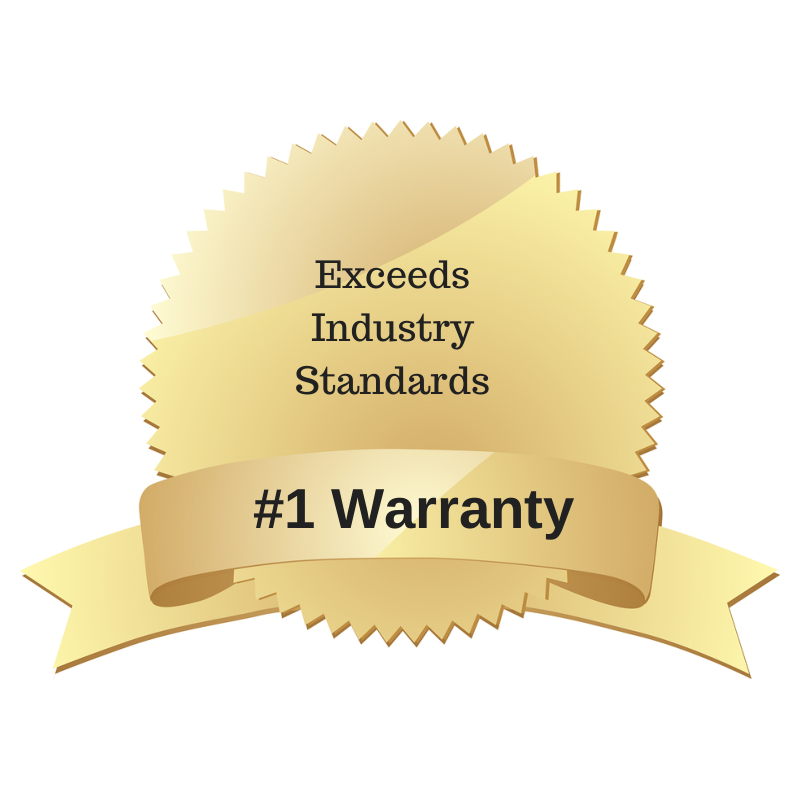 This WARRANTY is the real deal! I am committed to helping you prep the pool and apply the system as if I was, literally, in the pool with you. Your success is about using the products and proper methods for repairs and resurfacing that only we can deliver. You can do it and we can help! The reason so many DIYer’s and contractors trust and depend on our product is simple…we ensure you a stress free experience and products that exceed standard practice. I have developed a SYSTEM for you that will – Save You Stress, Time, Energy and Money! I provide the crucial details and navigate you through the entire process from the inspection of the pool until you are filling the pool with water.The product cannot fail if you prep the pool following my instructions. Longevity, performance and enduring results that you accomplish are why I am offering a warranty that cannot be challenged by any other manufacturer or contractor.Once the product is purchased you will receive my direct line, that you can call on the weekends and even after hours. As soon as your order is processed, I will forward preliminary instructions while the pool is being drained.Your initial call will be to procure the materials needed for your project.A detailed list will be provided to you for your project requirements. You must call me through every step of the prep and application process.Pictures will be required.Upon completion when water is being returned to your pool, you will need to call for a control number. This number will assure you of our 5 / 10 or 35 year warranty. No control number = No warranty. While there are very few mistakes made during installation, it is conceivable that mistakes will happen.When and if a failure should occur I will still assume the responsibility of that failure.There is no fine print in our warranties, unlike other warranties that have product exclusions which nullify and void them.In reality, these agreements give you no warranty at all. What happens if there is a failure ? The failure rate is less than 1%. If your installation should fail, a sample of the failed area must be sent to our factory.A chemist will send you a report detailing why the product failed. A new order of free product will be shipped, including freight charges at no cost to you. This is the confidence that I have with our System. We cannot offer a warranty on spas, fountains, hot tubs and waterfalls.There is no way we know how long moving water under these circumstances will wear down our Super Epoxy. We highly recommend applying a second coat. ULTRAGUARD SUPER EPOXY 4500 IS NOT A PAINT!ULTRAGUARD SUPER EPOXY POOL COATING 4500 HAS A 7 YEAR WARRANTY & LONGEVITY OF 10 YEARS.THE 4500 HAS A THICKNESS OF 15 MILS PLUS WHEN ROLLED OUT 7 OR 8 FT.YOU WILL GET APPROX.600 SQ.FT. SUPER EPOXY ULTRAGUARD 3000 IS NOT A PAINT!WITH PRIMER BOND COAT, ULTRAGUARD SUPER EPOXY POOL COATING 3000 with a primer bond coat HAS A 5 YEAR WARRANTY & LONGEVITY OF 7 YEARS.THE 3000 HAS A THICKNESS OF 10 MILS PLUS.WHEN ROLLED OUT 9 OR 10 FT., YOU WILL GET APPROX. 800 SQ.FT. SUPER EPOXY will offer the Certified Contractor and their client a 35 – YEAR STRUCTURAL WARRANTY on a 1½ oz.Conversion installation and a 5 or 10 YEAR WARRANTY on the color top coat. SUPER EPOXY will not be responsible and will not guarantee any other product that a contractor will install. Super Epoxy cannot be held responsible for water replacement or labor.